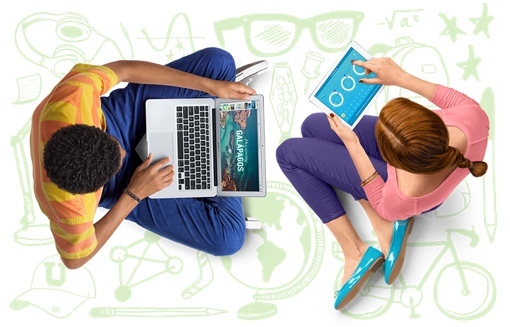 Looking for a new computer or tablet to get your kids ready for school next year? It may only be July, but the Apple’s yearly back-to-school sale has already started. Now through September 9, 2014, you can get a $100 Apple Store Gift Card when you buy a MacBook Pro, MacBook Air, iMac or Mac Pro computer directly from Apple. Buy a qualifying iPad and you’ll get a $50 gift card. The gift cards are in addition to Apple’s existing education discounts, which can save you yet another $200. There's a catch, though: To qualify for the gift card offer or education pricing, you need to be a college student, a student accepted to college, a parent buying for a college student, a homeschool teacher or a faculty/staff member at any grade level. Apple is also offering a $50 back-to-school gift card when you purchase an iPhone 5S, but Techlicious recommends you skip that particular deal. Prices are currently lower at Costco ($78) and Walmart ($99), and besides – the rumored release date of the iPhone 6 is just around the corner. You can take a look at all of Apple’s deals by visiting its website Back to School landing page or by stopping in to your local Apple retail store.